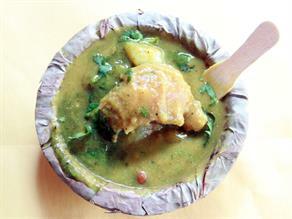 Use of the asafoetida and Garam Masala (assortment of several spices lend) a special taste to the Ratlami mixture at Ratlami Namkeen. 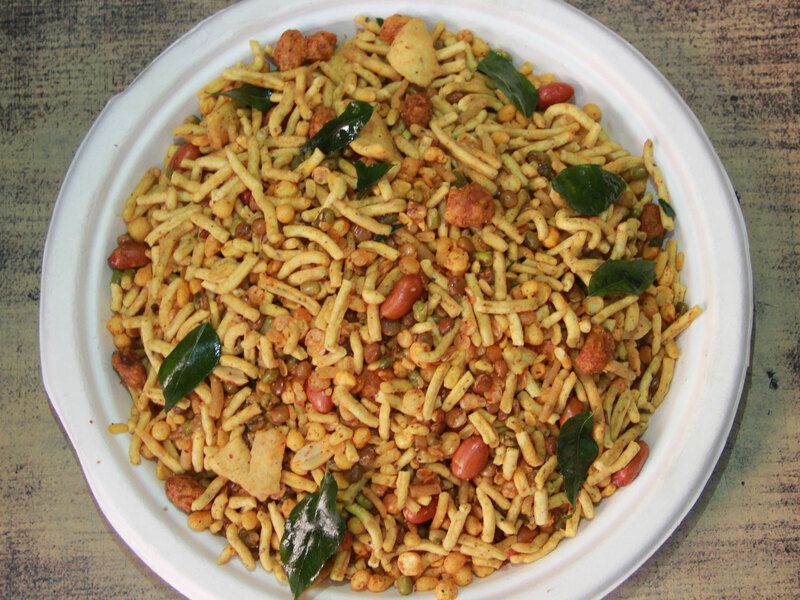 Ratlami mixture is a mixture of several spicy and deep-fried Namkeens, lentils and groundnuts, like- green gram (Moong ki Daal), pink lentil (Masoor ki Daal, chickpeas (Chane ki daal), split and washed green gram (Moong Mogar), thick sized Namkeen made from gram flour (Besan) spiced with salt, red chili powder, Garam Masala (assortment of several spices and asfoetida (Heeng). 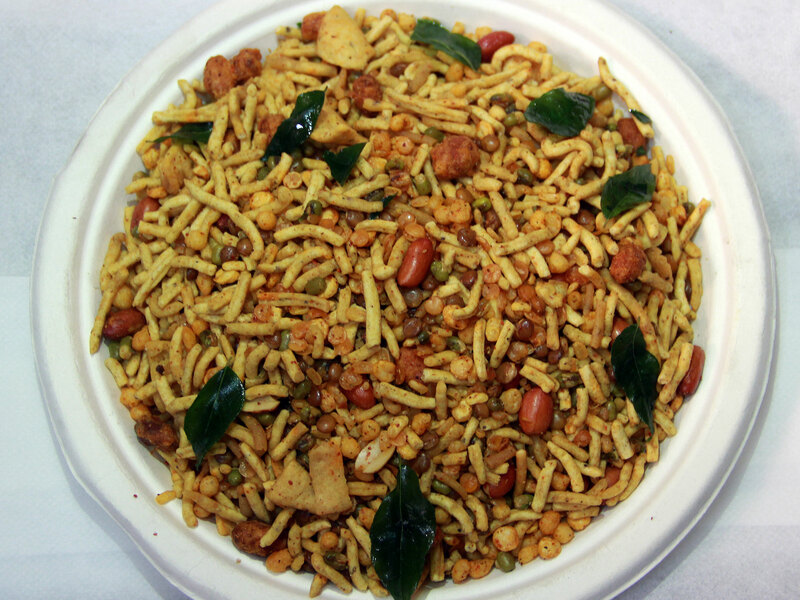 A delicious crunchy Indian snack served as a side dish, Namkeen/Sev is a deep fried snack prepared from spicy Besan (gram flour) dough. 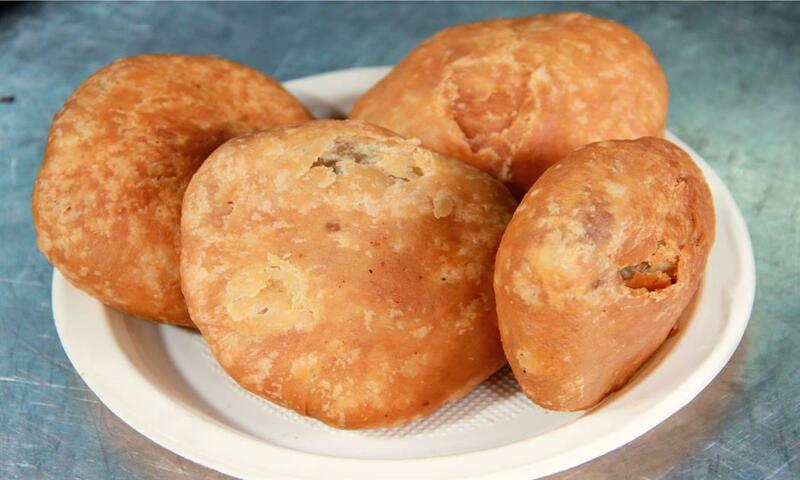 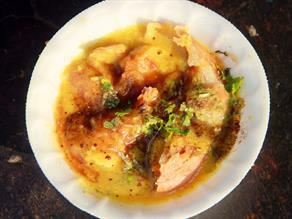 Before frying it deep, it is seasoned with spices, like- salt, turmeric, red pepper and Ajwain (carom) etc. 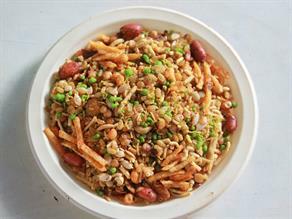 When added with a variety of other savory delicacies, like- Chiwda (spicy beaten rice), deep-fried peanuts, peas, potato/banana chips etc. 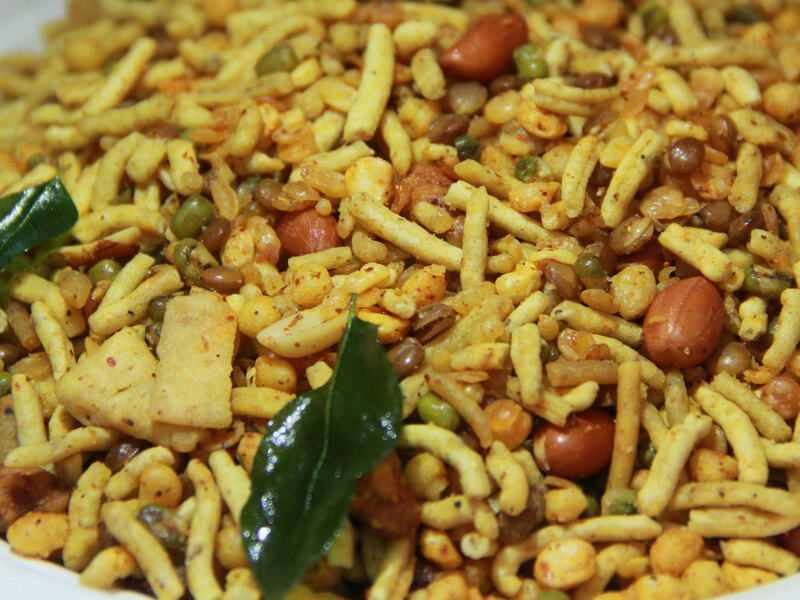 makes it a delectable Mixture Namkeen. 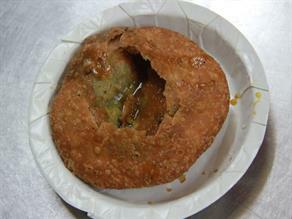 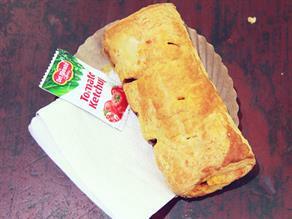 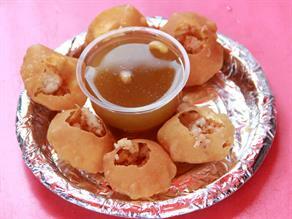 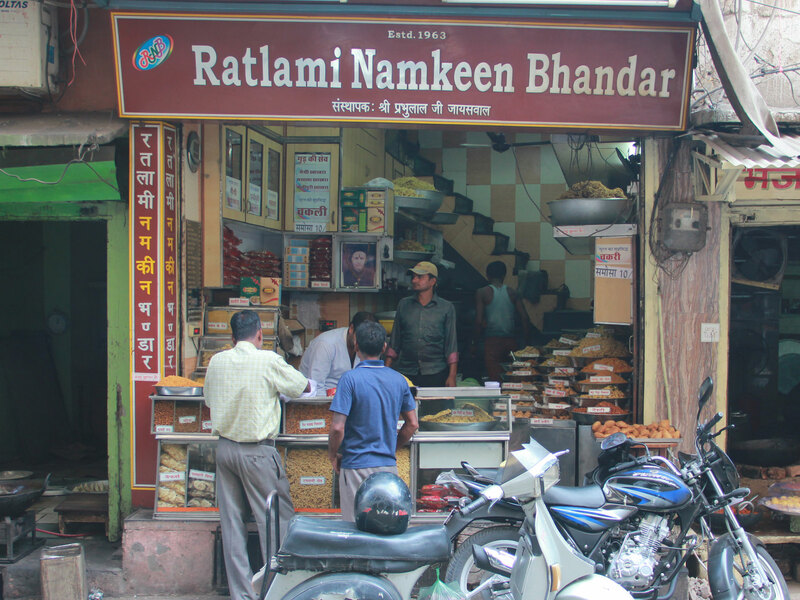 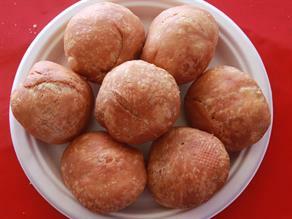 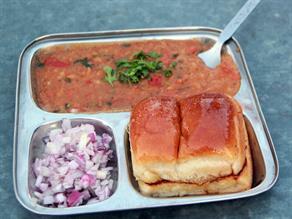 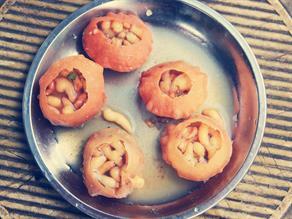 Ratlami Namkeen is a four and half decades old shop well-known to sell a variety of Namkeens to its customers.